How does one determine truth? This was the core of my own journey to the Church, and though I won’t repeat the details here, I must admit this journey, for me at least, did not cease once I became Catholic. I knew my old Protestant ways of determining truth did not work and led only to a cacophony of conflicting opinions that divides Christians from other Christians. But then once inside the gates of the Church, I was sadly stymied by the unexpected breadth of opinions and sad divisions amongst Catholics. To some people these divisions seem no different than the divisions amongst Protestants. For others these divisions have caused them to leave the Church and return to the more comfortable confusion of their past. Then there are those who are not happy with the bishops and have begun defining a Catholicism on their own terms. But how are Catholics to determine what is true when we are surrounded by so many seemingly faithful Catholics with conflicting opinions and lifestyles? Allow me to approach this quest with the illustration of a personal experience—of my own ignorance. About fifteen years ago, when my wife, Marilyn, and I were but three years Catholic, we had a Christmas party at our home in Steubenville that many of our Catholic friends attended. At one point in the evening I was standing in the kitchen enjoying a beverage of preference with four theology and philosophy professors from Franciscan University. They were carrying on a lofty discussion, using terms my brain had never heard nor could wrap its flimsy muscles around. To be a part of the conversation, from time to time, loosened by my beverage of choice, I would interject a point of comic relief, maybe something I felt was particularly enlightening from the latest Far Side or Calvin & Hobbs comic strips. My interruptions, however, were generally met with blank silent stares, until they returned to their conversation, as if I was the butler imposing the mundane into a discussion of substance. I know my friends did not intend ridicule (they were probably just being kind) but when the party was over, I retreated alone to my office in the basement, wondering if I’d ever “get it” enough to hold my own in such a conversation. I had come into the Church in search of truth, because I knew that the Bible alone was not sufficient to know what is true, but now that I was in the Church, I was so inundated with Truth at so many levels, I frankly felt I was drowning. I turned my computer on to play my favorite computer game: Disc Defrag. Now you computer geeks out there know that I’m being tongue in cheek. Disc Defrag was not a game; it was a utilities program that defragmented a computer’s hard drive. Think of a computer hard drive like a small library. All the books should be in nice order, arranged according to subject, title, and author, so that when you want to find something, you know exactly where to look. But suppose over time, people have added or replaced books to the library at random, not paying attention to subject, title, or author, just stuffing the books in willy-nilly, even sometimes taking the books apart, placing one half randomly in one place, and the other half in another place. The library would become a mess, nearly unusable, almost useless to find anything. What would have to be done to make the library useful again? A librarian would need to go in and rearrange the books, putting back together all the halves, according to the intended order: subject, title, author. This is what Disc Defrag did. Over time, as a computer was used, programs and files were opened, modified, added, erased, all to and from the computer hard drive, the library if you will, and often without any discernible order. As a result, the disc library became fragmented, disordered, and the computer would slow, sloow, slooow down. But then Disc Defrag could straighten it all out. It would completely evaluate the condition of the disc, measure the level of disorder and defragmentation, and then through a process of cut & paste, put all the programs and files in a proper working order—an order predetermined and programed into the computer by computer technicians who knew far more than I did about how a computer ought to work. The programs and files were rearranged into a proper grid, putting the most basic programs first, then the secondary programs, and on and on until the least important less essential files. Now the reason I considered this a “game” was because the computer gave a visual representation of this process: you could watch as the computer rearranged, moved, and sometimes deleted little multicolored boxes, bringing a haphazard collage of tiny specks of colors into nicely arranged, large, ordered blocks of colors. In the end the library was back in working order, and the computer could operate efficiently. That night I sat watching the program Defrag my computer, watching the little colored boxes disappear from one place show up temporarily in another place and then finally reappear in their proper place, in working order with all the other programs and files. And as I watched, I wished that somehow I could do that to my brain—to defrag the mess of random images, information, memories, and knowledge I’d picked up over the years, from uncountable sources, some trustworthy, some not so, some despicable and sinful. Oh, that I could rearrange my memory and my conscience into a more efficient, functioning, living machine, but how is this to be done? What criteria would I use to rearrange all of my knowledge, to put it into sensible working order? What criteria would I use to set priorities; which information is most basic and true, fundamental; which information is less so and therefore subordinate; and which information should be cast aside as unnecessary or untrustworthy or downright destructive to my life and soul? As a Protestant I would have answered the Bible alone. Or as a Presbyterian I might have answered biblical Theology. But as I sat there, a fairly new Catholic, reflecting on the conversation that had driven me to the solitude of my basement, I came to a new conclusion (for me) that the grid that put everything in proper order was philosophy: to understand the Bible and theology and all of life correctly and in the right order, one’s thinking and conscience must be built upon the grid of good trustworthy philosophy. And this is what I assumed, within the context of faithful Catholic teaching of course, for many years after. I would share my insight, this illustration of defragging our minds with philosophy, with my philosophy friends, and would receive in return a good hearty “at-a-boy” slap on the back! 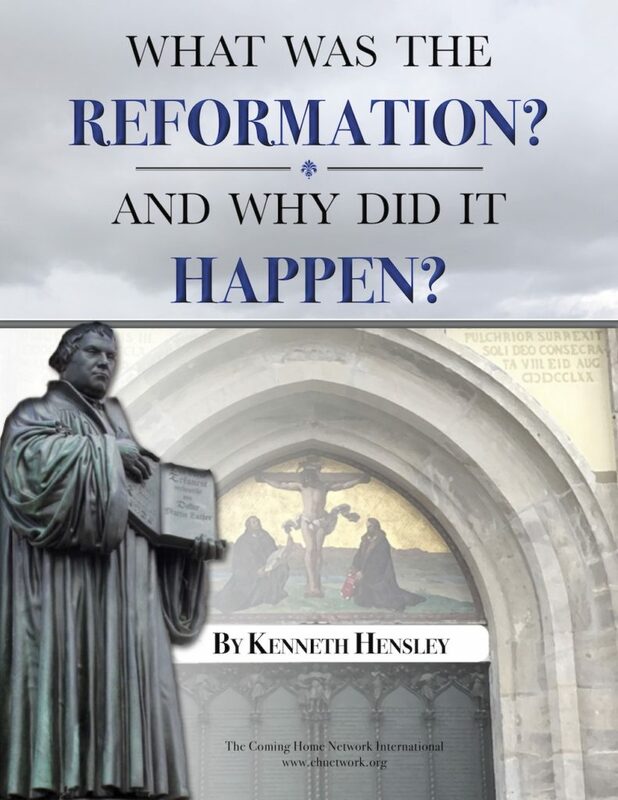 But then, as I matured in the faith, reading and growing in Catholic teaching and philosophy, I came to the realization that my conclusion concerning philosophy was insufficient—as my previous conclusions that Scripture alone was insufficient or that right theology was insufficient—because I discovered that good faithful Catholics don’t always agree on philosophy. Some are Thomists, some Augustinian, some Suarists; others are Personalists or Phenomenologists, even Existentialists; and among these camps there are countless divisions as to which ideas are essential or non-essential. I became disheartened to discover that among Catholic philosophers there isn’t one essential philosophical grid upon which to arrange and order all truth. In fact, I discovered that there are divisions within the membership of the Church among otherwise faithful believing Catholics, based primarily upon their different philosophical understandings of truth and how to determine what is true; Catholics who lift themselves up above the Magisterium: believing they understand truth better than the bishops in union with Peter. So if the corrective grid isn’t the Bible alone or theology or philosophy, what is it? Or is there one? Are we left to our selves to order our thinking and our consciences? It is here that I more fully and humbly came to realize and appreciate the truth that every good Catholic knows, or at least should know, and in fact which draws near every convert to make their journey home. And at first mention of this, most Protestant listeners will cringe back in horror and disgust, even more so than the thought that philosophy could be any kind of trustworthy grid of truth. At first mention of what I now more fully appreciate as this gift of truthful and trustworthy order, some of you may wonder, “Wait, how does that help? Isn’t that just as subjective and intangible as the Bible alone, or biblical theology, or philosophy?” And my answer to that is no, not at all, if one trusts that Jesus established the Church—the pillar and bulwark of the truth—and established her Magisterium built upon the rock of Peter, guided and protected by the promised Holy Spirit. What is that one trustworthy grid upon which we can build our lives, correctly order our thinking, and form our conscience? Sacred Tradition. But how can we know Sacred Tradition? Do I need to read all the Early Church Fathers, all the conciliar documents beginning with Nicea, all papal pronouncements, etc., etc? No, trusting the Church’s Magisterium, believing in humility that she knows better than we do that which is essential for us to believe and upon which to form our consciences, we must accept the gift she has given us for this purpose at this time in the life of the Church. That gift is the Catechism of the Catholic Church. This is crucial and important. If we reject the present Catechism because we prefer a previous one, or because we think the new one has changed what was said before, then we are lifting ourselves up above the Magisterium of the Church, thinking we know better than the Church, and essentially doubting that the Church is still being guided by the Holy Spirit. We are therefore setting ourselves up as the sole, trustworthy grid for determining what is true. The reality is that if we died tonight and stood before God, and if being a good faithful Catholic makes any difference to our entrance into heaven, then the criterion will not be what it meant to be a good faithful Catholic 100 or 50 or even 25 years ago, or what it might be 25, 50, or 100 years in the future. What is essential is whether we are a good faithful Catholic, a trustworthy, humble, holy follower of Jesus Christ, today. And how can we know that? What has the Church given us to help us know precisely what this is, how to defrag our minds, to put everything in order, to move to the front those things that are essential, to move to the side the less essential, to put everything into the right context, to determine which things, ideas, and actions need to be set aside and cast out of our lives, and maybe most important of all, what things, ideas, and ideals are worth dying for? For this, the Church has given us the Catechism, in which she states: “This catechism aims at presenting an organic synthesis of the essential and fundamental contents of Catholic doctrine, as regards both faith and morals, in the light of the Second Vatican Council and the whole of the Church’s Tradition. Its principal sources are the Sacred Scriptures, the Fathers of the Church, the liturgy, and the Church’s Magisterium. and her liturgy” (para. 11). Read it; know it; pray it; live it.